The recent bombing in Brussels is a stark reminder that the war on terror is one that may never be won in the conventional sense of the term. The availability of bomb making and other military materiel, the willingness of extremists to kill themselves and civilians, and the tacit approval of the communities and people who hide and thus support these actions, is unfortunately not disintegrating any time soon. The thirty killed and over two hundred fifty maimed and wounded will be memorialized and supported by the thousands of Belgians, Europeans, and people worldwide willing to donate their time and money in order to help the families of the deceased and those injured heal in their respective manners. Terrorism’s main purpose is to disrupt civilization by attacking civilians and disrupting the normality of everyday life; the act is heinous to its very core. Civilization’s most powerful weapon is to refuse to give into the initial inclination of fear. In what is now an all too familiar scene, thousands of Belgians, Europeans and people around the world fight back by both continuing to live their lives as they were before the atrocity occurred. They also show their solidarity by giving their time, thoughts, prayers and donations to the victims and their families. These events also remind us of those who risk their lives daily, preventing more of these terrorist plots from coming to fruition and the soldiers in the Middle East who have been and are still on the front lines fighting these extremists. The recent death of Marine Staff Sgt. Louis F. Cardin in Iraq is a sobering reminder that the relative ease with which certain presidential candidates’ talk of war does not do justice to those sacrificing their lives and bodies for our benefit. It is these men and women, who live in what can be described as a feeling of daily dread, who also deserve the support that is so often only given in the aftermath of tragedy. This is what institutions such as the Veterans Administration and veterans focused support groups and charities are meant to accomplish. Unfortunately, the well-known incompetence of the VA served as just another situation for politicians and generals to score talking points. There have been changes at the administrative level, and it takes time to reverse momentum in an institution as big as the VA, but it is still easier to find reports of scandal than of improvement. The other half of the support system revolves around private sector charities geared specifically to helping veterans. These groups and organizations are supposed to fill in the cracks that government entities such as the VA are unable to fill, providing emotional services and support for those who most benefit from rehabilitation knowing that they are not alone in their suffering. Comradery is an effective salve to a lot of intense problems and emotions. Receiving support from those who have endured similar situations can bolster individual strength in ways unmatched by traditional help systems. Couple this with the realization that there are people who are willing to do more than verbally express their gratitude and these groups become invaluable to those who need it most. This is what makes the recent shakeup at the Wounded Warrior Project so disconcerting. It is not as uncommon as some would like to believe for a charity to abuse the goodwill of its donors. That people are willing and able to find ways to prey on people’s emotions should come as no surprise. But when an outfit such as the popular Wounded Warrior becomes mired in scandal, the subsequent feeling of deceit is that much more intense. Whispers of wasteful spending eventually grew to a din too loud to be ignored when CBS reported on the organization’s spending habits. The firm Abernathy MacGregor declared that a financial audit discovered “some policies, procedures and controls at WWP have not kept pace with the organization’s rapid growth in recent years and are in need of strengthening.” Abernathy MacGregor is a public relations firm so it is necessary to translate this tactful statement: WWP management has spent monies meant for veterans on themselves. Chairman Anthony Odierno will take over as CEO while he and other senior management members search for permanent replacements. 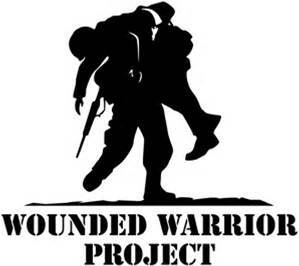 The fund raising ability of the Wounded Warrior Project was never in doubt: it raised $372 million in 2015. But then again neither was its honesty, which begs the question: how do you know if the charity you are donating to will direct your money to the cause you wish to help? Charity Navigator, whose information assisted CBS in its investigation, is a charity watchdog whose mission is to “guide intelligent giving … to advance a more efficient and responsive philanthropic marketplace, in which givers and the charities they support work in tandem to overcome our nation’s and the world’s most persistent challenges.” The group researches and publishes information regarding charities and their ability to effectively allocate donations. In other words, Charity Navigator provides a service to keep charities honest and to inform potential donors of those that are not. A charity is only as honest and effective as those who run it. For those willing to donate money to a cause, take the time to ensure that your money is being spent in the manner desired. A little research can go a long way. Giving is one of the humanity’s greatest gifts. And it is also important to understand that a tragic event is not the only reason to do so.